I just setup elementary os 5.0 Juno on top I installed cryptomator using apt-get install cryptomator. 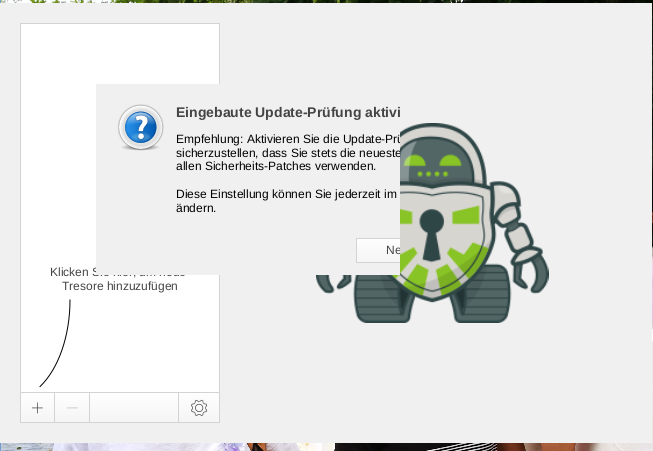 When I start the window from cryptomator starts up and directly a popup saying something about update-check, but this popup window is not completely visible, and I can do nothing on the app. Following the logfile the version of cryptomator is 1.4.6. 16:28:08.408 [JavaFX Application Thread] INFO  org.cryptomator.launcher.Cryptomator - JavaFX application started. 16:28:08.650 [JavaFX Application Thread] INFO  o.c.ui.controllers.MainController - Unable to setPreferencesHandler, probably not supported on this OS. 16:28:32.852 [Thread-0] INFO  o.c.launcher.CleanShutdownPerformer - Goodbye. 16:47:00.889 [main] INFO org.cryptomator.launcher.FileOpenRequestHandler - Unable to setOpenFileHandler, probably not supported on this OS. 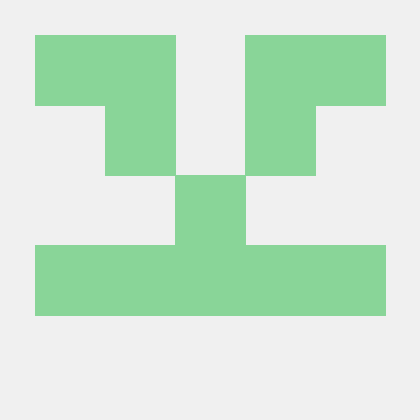 16:47:01.252 [JavaFX Application Thread] INFO  org.cryptomator.launcher.Cryptomator - JavaFX application started. 16:47:01.495 [JavaFX Application Thread] INFO  o.c.ui.controllers.MainController - Unable to setPreferencesHandler, probably not supported on this OS. ^C16:48:45.204 [Thread-0] INFO  o.c.launcher.CleanShutdownPerformer - Goodbye. I’m new to cryptomator, use it since two weeks on windows and android. Interesting. Don‘t know what causes this problem. However, I think you can workaround this problem by manually setting checkForUpdates (not sure about the exact spelling) in ~/.config/Cryptomator/settings.json to true or false, whatever you prefer. Thanks for the answer, I thought already that I can do something in that file, but until now there is no file settings.json and I have no clue about the format of that file. Can you give me an example? I have found an example of the file on my windows installation. Copied the params which, I think are used to control the app, not those about driectories. After that, the popup does not appear anymore, but I can still do nothing with the app. INFO o.c.ui.controllers.MainController - Unable to setPreferencesHandler, probably not supported on this OS. That is not a problem. The PreferencesHandler is merely useful for the [cmd]+, shortcut on macOS. So something happened in version 1.4.6. I had something similiar happen to me. I could click through the app itself as if it wouldn’t be there. The only way I could fix that was to run the application as root user via commandline. The issue linked above should be solved with 1.4.7. For me it works with version 1.4.7 under elemetary os so far.